Anyone who touches PHI must protect it. Is it your responsibility to ensure that your clinic is HIPAA compliant? Is it the doctor’s responsibility? What if you’re the IT guy? Is HIPAA your duty? 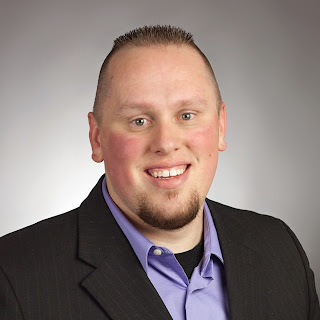 What if you are just a janitor at a healthcare organization? …you are responsible for HIPAA and HIPAA violations! Employees may individually face charges if patient data is compromised, but that doesn’t mean providers are exempt from making sure the organization is HIPAA compliant. It’s okay to be honest that you may not know HIPAA has two a’s and not two p’s . . . shocks people all the time. 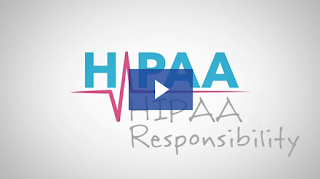 In less than 90 seconds, learn who is responsible for HIPAA at your organization. If Protected Health Information (PHI) is compromised at a healthcare practice, the practice is always considered at fault. However, based on the violation, an employee (especially an executive level employee) may also be considered at fault and face serious consequences. If an employee was involved, healthcare employers hold some blame for not training employees properly. Employer or employee ignorance is not accepted as a legitimate excuse in the HHS’ eyes. That’s one reason why workforce member training is so crucial to preventing compromise and HIPAA violations. Employees are a crucial link in the healthcare compliance chain. If employees are weak (not adequately trained on security) they become a weak link that can easily be broken. Lazy and even, untrained healthcare employees are at the center of most HIPAA violations. If they interact with Patient Health Information in any way, healthcare workforce members are legally bound to comply with HIPAA regulations concerning the security of Patient Health Information. If workforce members are directly responsible or even indirectly responsible for HIPAA violations, they can be penalized civilly. Employees have a serious moral responsibility to both their employer and to their patients to keep patient health data secure. When it comes to responsibility, third parties sometimes think they are exempt. Especially those who don’t classify themselves as “healthcare covered entities.” The problem is, the HHS does consider them legally bound to protect PHI. That’s why the HHS requires business associate agreements. But just because a business associate has signed a business associate agreement doesn’t mean they are exempt from anything that goes wrong with patient security. If data in the business associate’s possession is breached, they share equal responsibility with the healthcare provider. See also: You Can’t Hide Behind a Business Associate Agreement. Read about business associates and HIPAA for more information on business associate responsibility. Patient data is your stewardship! At the end of the day, the only thing standing between your patient’s sensitive (and valuable) data, and attackers wishing to profit from this data, is you. Don’t let your patients down, don’t let attackers walk out the door with all of your data, and don’t let compromise or HIPAA violations leave you in a tailspin of negative press.